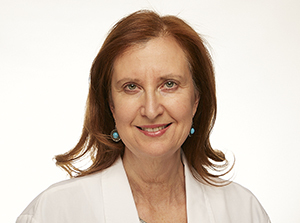 Dr. Weinstock is a podiatrist with more than 2 decades of experience in treating a variety of foot and ankle conditions and specializes in the treatment of sports related injuries, including the use of orthotic devices and other alternative methods of care. Dr. Weinstock graduated from The New York College of Podiatric Medicine and is certified by the American Board of Podiatric Medicine. She performed a surgical internship at the Affiliated Hospitals of the New York College of Podiatric Medicine including St Barnabos Hospital in the Bronx and Coney Island Hospital in Brooklyn. Dr. Weinstock proudly holds staff privileges at Long Island Jewish Forest Hills Hospital – Northwell Health.